Lan Media Productions is a One-stop source of media creative services. We take care of all your media production needs! In Spanish and English! 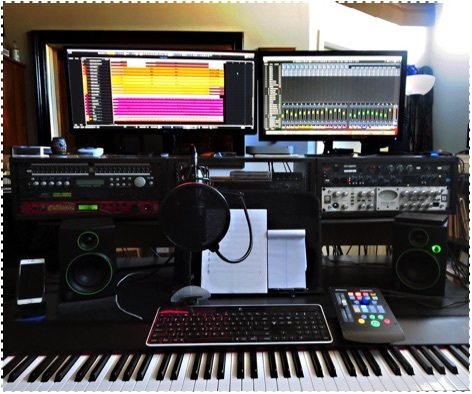 Jingles, voice-overs, original custom music for advertising spots, original music for videos and documentaries, audio logos, sound design, sonic branding, audio post-production, and more! Our custom-made productions are original, catchy, and unforgettable! We also create and produce effective Radio Ads/Radio spots, TV Commercials and videos. We help you decide where to advertise, and which stations are best for you, all through our targeted media buy program. Improve brand recognition, get more clients and increase your sales with our custom-made media productions! Quality and great service are our core promises! As creative experts, we have been producing innovative work for advertising and marketing purposes for over 29 years. Our creative productions have helped many businesses increase their sales and brand recognition. We're sure we can do the same for your business! ©2019 Website designed by Lan Media Productions. All Rights Reserved.